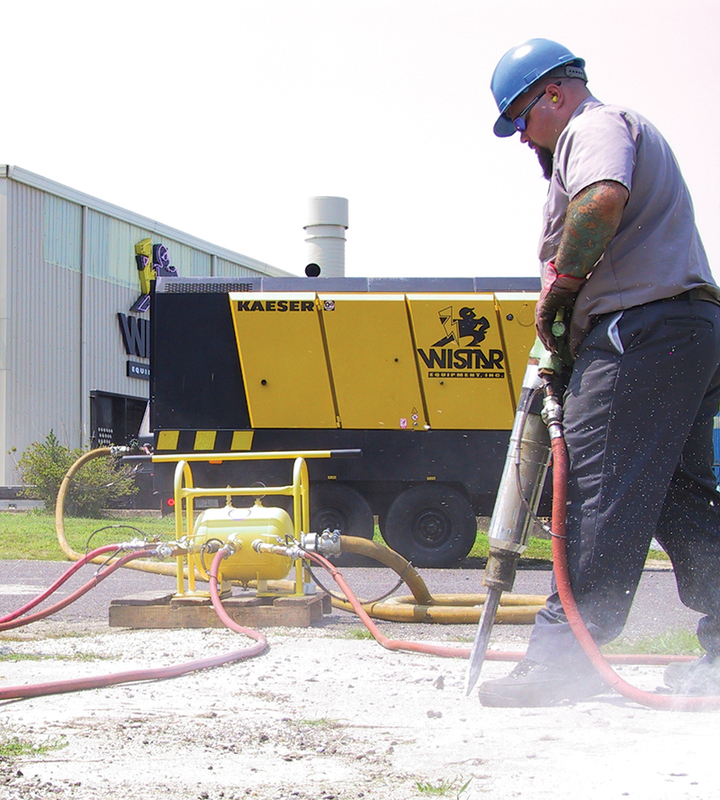 Air-driven tools powered by portable compressors can be found at many job sites such as construction, mining, quarries and, yes, road repair. These tools make quick work of what otherwise would be a back-breaking task. One such task is bridge maintenance and surface repair is the most visible use. However, structural maintenance, such as cleaning and painting metal surfaces, is less visible but far more important to the safety of those traversing the bridge. Repainting is a necessary step for retaining structural integrity. Without paint, metal oxidizes and weakens over time. Preparing the metal for paint is a hazardous job; workers must contend with an awkward work space high above the ground or body of water, while wheeling around a heavy air-driven tool that kicks like a mule. The work is even more dangerous when certain regulations aren’t followed. One particular crew was scurrying around making final preparations to begin the cleaning phase of the bridge painting contract they had landed. 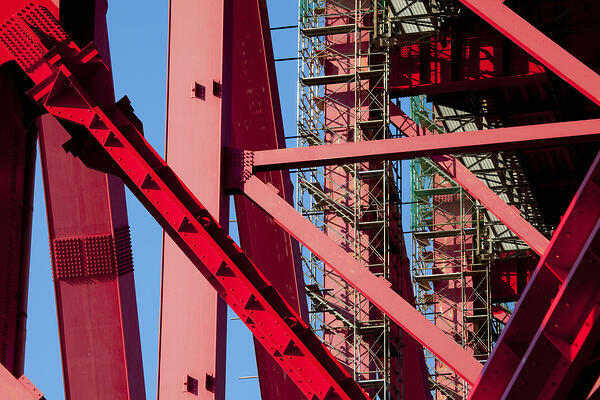 After securing the scaffolding under the bridge, two workers climbed down onto the catwalk and awaited the chipping hammers to be lowered to them. As was their common practice, the workers didn’t secure their safety harnesses until they had their tools and were in position to begin work. 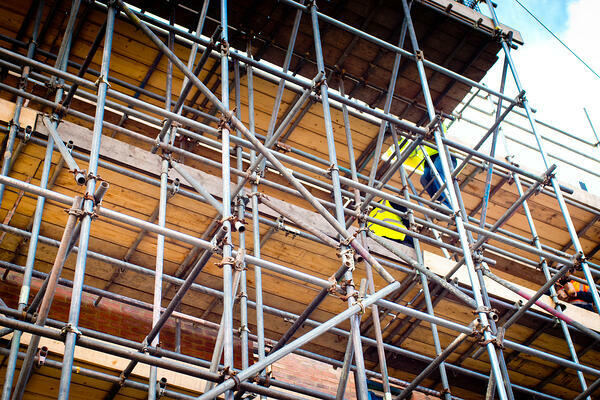 With chipping hammer in hand, one worker began crossing to the far side of the scaffolding. About two-thirds of the way across, the air supply line snagged. Without thinking, the worker began to jerk on the tool’s whip hose (connected to the air supply line) in an attempt to free it. But instead of freeing the air supply line from the snag, he pulled the fitting out of it. Almost instantly, the whip hose recoiled, striking him in the chest. The impact knocked him off the scaffolding and luckily he was wearing a safety harness. Meanwhile, the whipping air supply line, struck the other worker in the back, knocking him off the scaffolding as well. Luckily, he had anchored his safety harness just moments before. Other than severely rattled nerves, he escaped this ordeal with just a few bruises. Compressed air is a very useful form of energy particularly at remote locations because of its portability and its ability to travel great distances without power loss. But because of its compressibility, this energy source has grave dangers associated with it. As a result, regulations have been established to protect those working with and around it. Safety devices, such as King Safety Cable, are designed to comply with OSHA regulations for portable compressed air and to prevent accidents like this from occurring. Anyone working with or near compressed air should be familiar with these regulations and the proper use and installation of required safety devices. Let’s Keep It Safe by following established safety regulations and using proper safety equipment and devices. Failure to do so can have dire consequences.